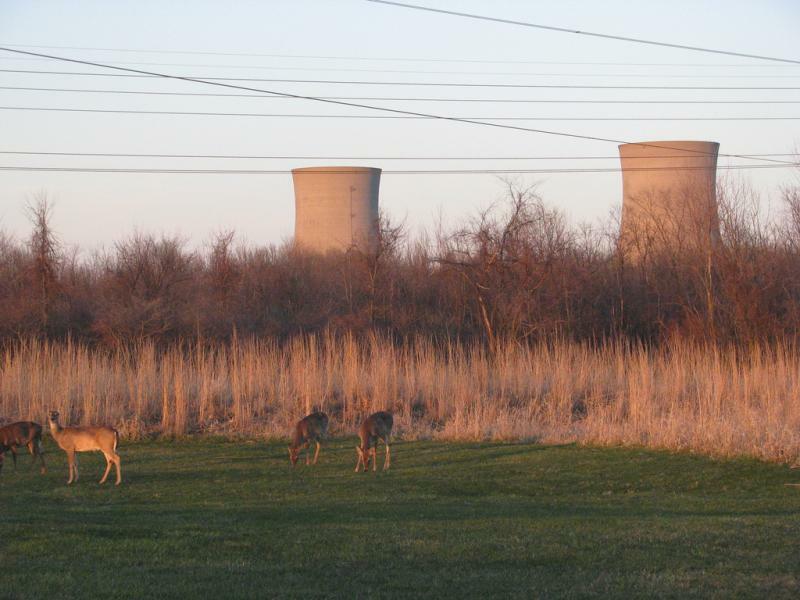 Fermi 2 nuclear generating station towers. Mock control room at Fermi 2. It's used to train new staff. Our conversation with Michael Keegan, a member of the Coalition for a Nuclear-Free Great Lakes. 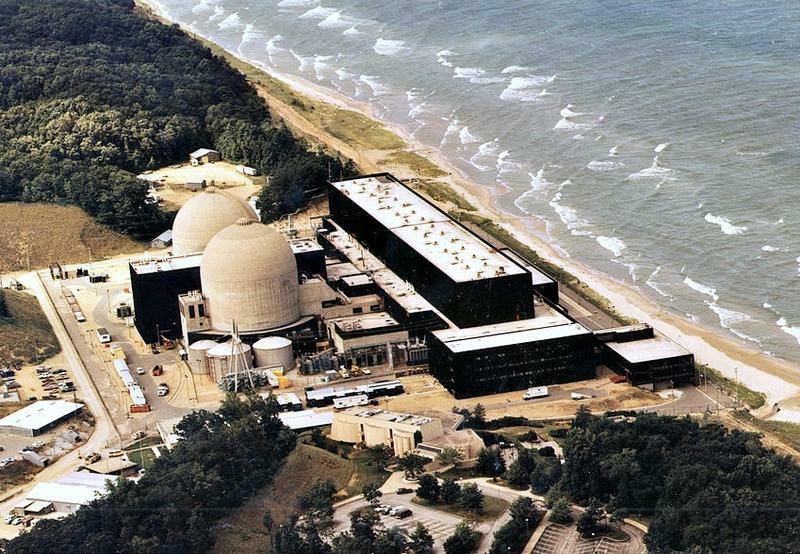 We're coming up on the 50th anniversary of the partial meltdown at the Fermi 1 nuclear power plant next to Lake Erie. The plant, located a few miles northeast of Monroe, inspired the 1975 book We Almost Lost Detroit by reporter John Grant Fuller. The owner of the Fermi 1, DTE, published its own account of the meltdown called We Did Not Almost Lose Detroit. DTE says what happened at Fermi 1 has been exaggerated. Michael Keegan, a member of the Coalition for a Nuclear-Free Great Lakes, joined Stateside to look back at the near-disaster half a century ago, where nuclear technology is at in 2016, and where it's going. Listen to the full interview above to hear about the event he is holding at the University of Detroit Mercy to mark the anniversary of the meltdown. A steam line rupture at a nuclear power plant in southwestern Michigan forced a utility to shut down one of the two units early Wednesday morning. Indiana Michigan Power says the steam released was not radioactive, but it did damage a wall at one of the two D.C. Cook Nuclear Plant units. Bill Schalk with Cook Nuclear Plant says plant operators made the decision to manually shut down the reactor following the rupture. "When they did that, all the systems responded appropriately as designed, and the reactor was safely shut down," Schalk said. The Palisades nuclear plant shut down this morning. The plant near South Haven was scheduled to shut down Sunday, according to a plant spokeswoman, but it shut down automatically after part of the turbine generator system failed. Officials at the Fermi 2 nuclear plant near Monroe are investigating the cause of a small fire that happened around 2 p.m. this afternoon. Fermi is already shut down to refuel. That’s normal. 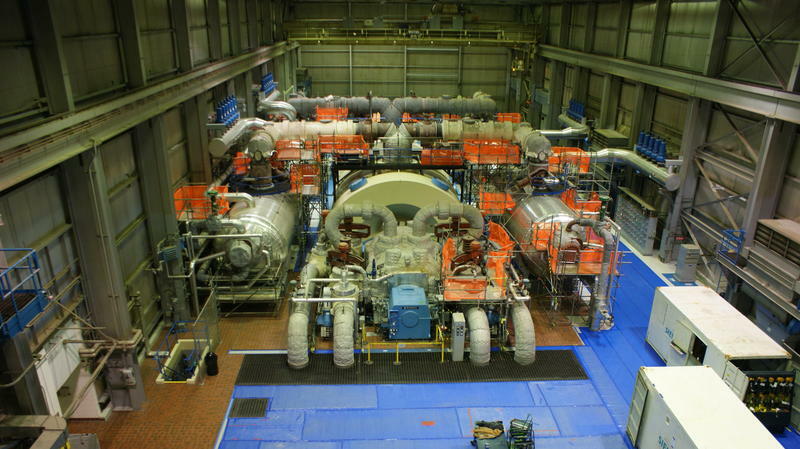 Plant workers were testing four huge back-up diesel generators used only in emergencies. Those tests are normal, too. DTE spokesman Guy Cerullo says they've been testing them for a few days. You don't have to read the story. Listen to it here. Alarms are going off. People are checking gauges, trying to determine what's wrong. We’re in a large simulator of a nuclear reactor control room at the DTE Energy Fermi 2 power plant on Lake Erie near Monroe. Employees are being trained to deal with just about any foreseeable problem a nuclear power plant might face.